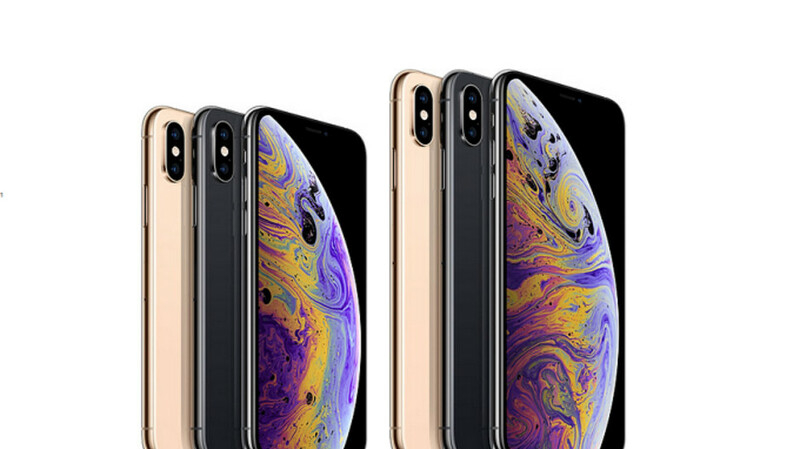 We already know that the 2019 Apple iPhone models are expected to look very similar to the 2018 versions. Some believe that the only difference will be more AR capabilities. However, according to a column in Forbes written by Jean Baptiste Su, Vice-President and Principal Analyst at Atherton Research, the 2019 Apple iPhone units will feature a USB-C port and will come equipped with an in-screen Touch ID fingerprint scanner. A smaller notch is also rumored to be onboard the 2019 iPhones, and that makes sense. As the technology found in the notch shrinks in size, Apple should be able to reduce the size of the notch as well. In addition, Apple could be adding a TrueDepth Camera to the back of the 2019 iPhones. Unlike the structured light method currently used on the front-facing version of the camera, Apple is said to be considering using the "Time of Flight" method for the back of the 2019 models. This is a less expensive system that is easier to manufacturer than the current method. Apple dropped the proprietary Lightning port on the iPad Pro last year, and many are hoping that the same thing happens to the iPhone this year. The move to USB-C might make it easier for iPhone users to find accessories for their handset. It also could help them find cheaper alternatives when they need to replace their charger. Great that they will ise USB C in their upcoming entire products. But I do hope apple will remain the face ID, can’t go back to touch ID when logging to apps such as banks. Huh what r u talking??? I’m still i7 and still doing great with Touch ID. Matter of fact, everytime download an app on X genth iphone it is quite annoy you have to double tap power before you can download. the reason you need to tap the power button is to avoid an unwanted download (you also do the same when initiating an apple pay payment), its a great way to confirm/secure your actions - same as placing your finger on FP sensor. but there are many actions where face ID does its thing without effort, where tapping an action on screen does not ALSO require any other taps on physical buttons like filling in passwords or logging into bank apps, etc. On contrary, with FP sensor you still have to place your finger on the button to proceed. I know this is little stuff, but it all accumulates to better experience, in my opinion. You forget that Face ID doesn’t work horizontally unlike Touch ID, unlocking without having to stare at the phone, can’t unlock if you wear something on your face I.e masks. I personally prefer Touch ID way more. It certainly *does* work both vertically and horizontally on the 2018 iPad Pro. So there is little to no doubt this will hold true for the 2019 iPhones Xs and Xs Pro. And with an in-display fps you have your finger on the display anyway to further use the app you just started so what's really the additional effort? Besides Apple will likely laud its in-display fps as more secure than Face ID, when it finally comes, though earlier rumors say it won't be 2019 but 2020 when Apple comes with in-display fps, opting to keep the current design another year. Unless disappointing sales have moved up their agenda, but rumors saw the 2020 iPhone ditching Face ID for a new all-screen design. My i7+ touch ID is fast. TouchID slow bc you didn’t retrain/rescan your touchID. peaceboy, i know some dont agree (and some are actually honest instead of that anti-apple fanboy garbage). but i gotta agree with you. i switched from FP on my samsungs to face id on iphoneX and i'm never going back - apple really nailed it with the face ID... consistent unlock regardless how dirty/wet your hands are, effortless password entry, effortless log-into apps or website... I'M NOT GOING BACK. USBC is fine - it's just like lightning (reversable), but i still like lightning as it feels like it snaps in vs the rest of ports. also lightning is easy to clean out if lint gets in there.. but i dont mind usbc - its a huge improvement for micro/mini usb.. Choice is yours, FaceID is great however they shouldn’t remove TouchID and slap $1000+ price on it. Eventually people will talk with their wallet and it is show, just look at the marketcap. They aren't going to have any of that, this is just damage control from this most recent disaster. Promise the sky and slowly bring down expectations. Now, Apple is under pressure to perform and I love it to see drastic innovation not tick tock upgrade like last 6 years. Apple does has capital and talents however can they make product that can kill iphone line? And we all believe in Analysts correct. See this is what happens: - Random analyst yaps some sh*t. - Some fans, all trolls and all haters start bashing Apple saying Apple is copying something. - New analyst says something completely different. - Haters scold Apple again. - Ultimately Apple does not implement anything any of these analysts say. - Some fans are disappointed, haters rejoice as if they won the lottery. So ya, excited to read what analysts say and how people over react for no real reason. "And we all believe in Analysts correct" Only when they say something good. FPS or Iris scanner is the safest security there is. No they don't. They just have to raise the retail of the phone like they did this year after adding nothing to the X. Now, they need to get rid of that stale looking icons. nah, i like my apps to be front and center. all the info i need inside the apps is displayed on my lockscreen organized as I need them. so i disagree with you on that. I like to see all of my wallpaper in the front and not icons blocking it. The fact that you disagree with him doesn't make you right and him wrong. It's not like you constantly use every single app you have on your phone so having them front and center doesn't serve a real need and it's more like you don't have a choice when you are limited by iOS's home screen functionality. The icons on ios are stale looking. The icon style is basically the same since the launch or ios, it's doesn't get much stale than that. 1. Didn’t say he was wrong 2. You can have any screen free from apps just like android. You can store literally one app on every screen or better yet just store then all in an app folder (just like android app drawer) which you can make hundred of times. 3. Why not put that picture on your lock screen (which can be different from home screen picture) and you can view it unobstructed milllion times a day without unlocking your phone. 4. I don’t understand the argument - is this what we got to - nitpicking?